Grow your group, from anywhere. Part of keeping your organization strong is growing it, and our Colony Manger application makes it easy. All in one place from a computer or mobile device, recruit more potential members who can sign up, choose an interview time, recommend friends and learn about the organization. Manage multiple colony interview schedules and communicate with users via text or email. You can even get an at-a-glance assessment of openings, filled slots, and interviews scheduled. 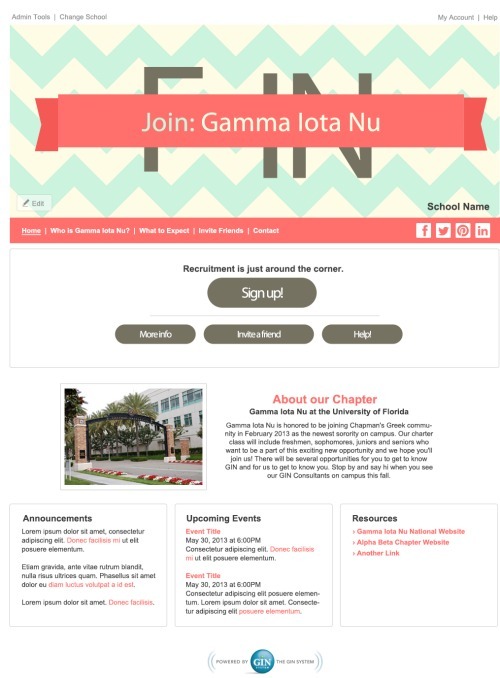 Find out what groups like Phi Mu and Zeta Tau Alpha love about our Colony Manager App.